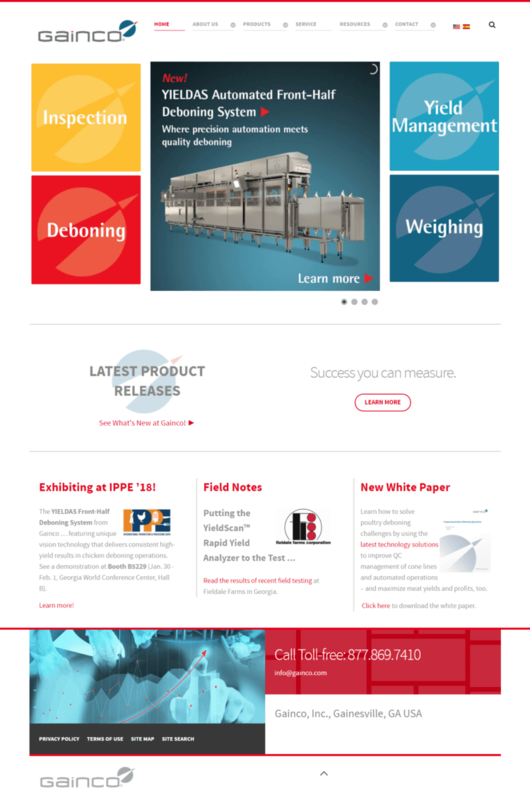 Gainco is one of the leading U.S.-based manufacturers of weighing, sizing, sorting and distribution systems and equipment for the meat and poultry processing industries. Its sophisticated, labor-saving systems are engineered to improve product yields while providing real-time information and analytics. Most of Gainco’s equipment represents large capital purchases with a fairly lengthy sales process. The website assists in this effort by being a source of information and education. When Gainco came to us to develop their website, their site was thin on content, had little brand voice, and was very dated in its appearance. 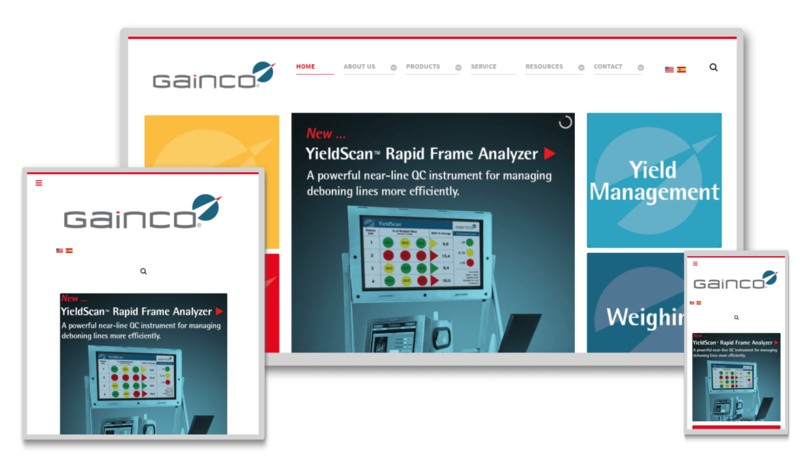 We jumped into action, putting the Gainco brand front-and-center and fleshing out the content to include relevant information on the company’s extensive equipment line. A new, highly intuitive navigation makes it easy for visitors to “drill down” to equipment solutions based on their meat processing applications. A user-friendly content management system makes it easy to update, enhance and expand web content on a daily basis. For instance, adding completely new product lines has been a snap.